This has been one of our favorite brands to date. We started working on this project mid 2015. 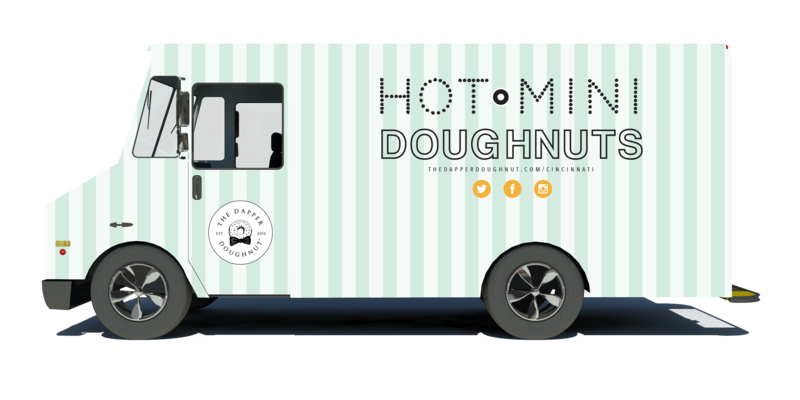 Our assignment was to develop a name and brand for a mini hot doughnut franchise concept. We first tackled the brand identity with decisions that would advance this brand above competitors. 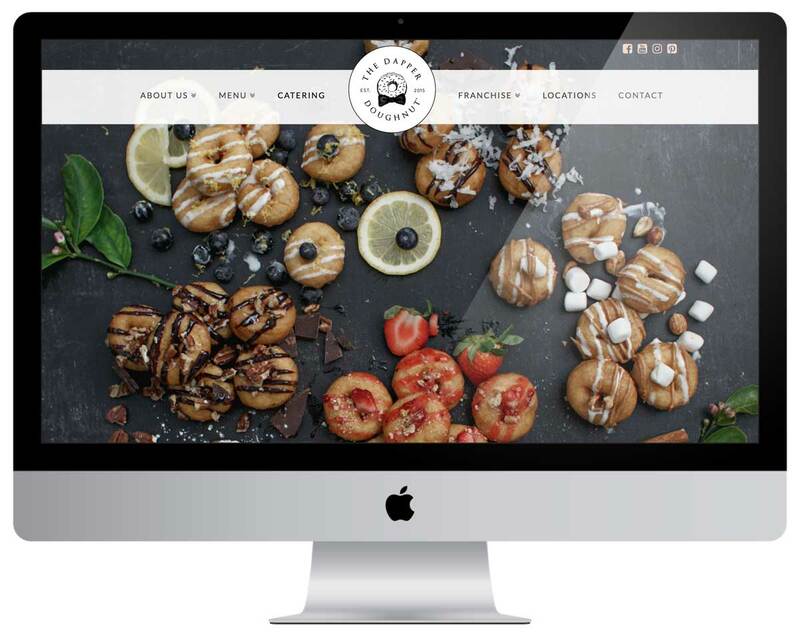 Once we developed the brand we created a custom website with hand illustrated elements to bring a whimsical and exciting element to the user experience. After the website and branding were complete we were tasked with designing an entire commercial interior concept to reflect the brand we had put together. Our talented designer Jenilee happens to also be an architect who used to work for one of the biggest commercial design firms in the US. 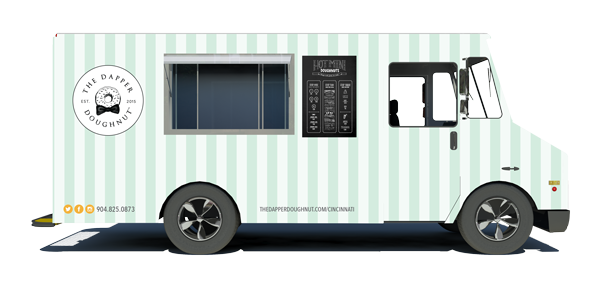 We have officially completed this phase and The Dapper Doughnut will launch mid-December 2016! 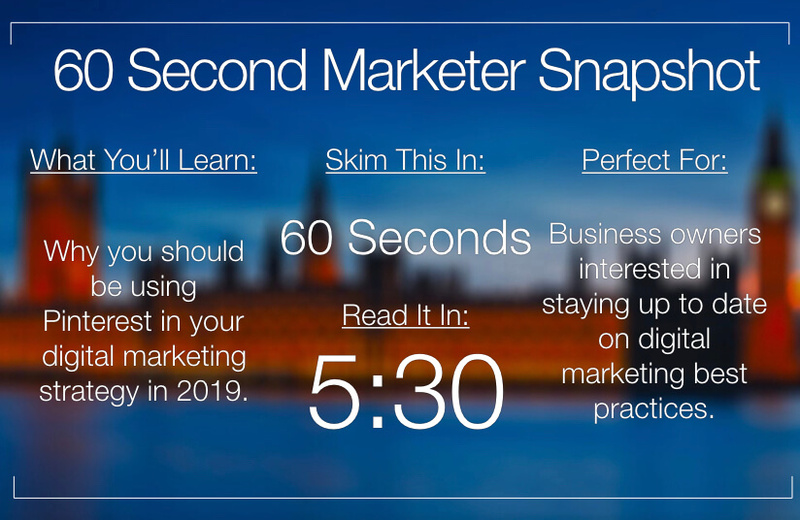 As a branding agency we love to tell a story. But in order to get a better understanding of the vision behind this beautiful company, we decided to get together their corporate team and discover their story as business developers. We helped flesh out the brand personality traits, design themes, brand perception goals and more. 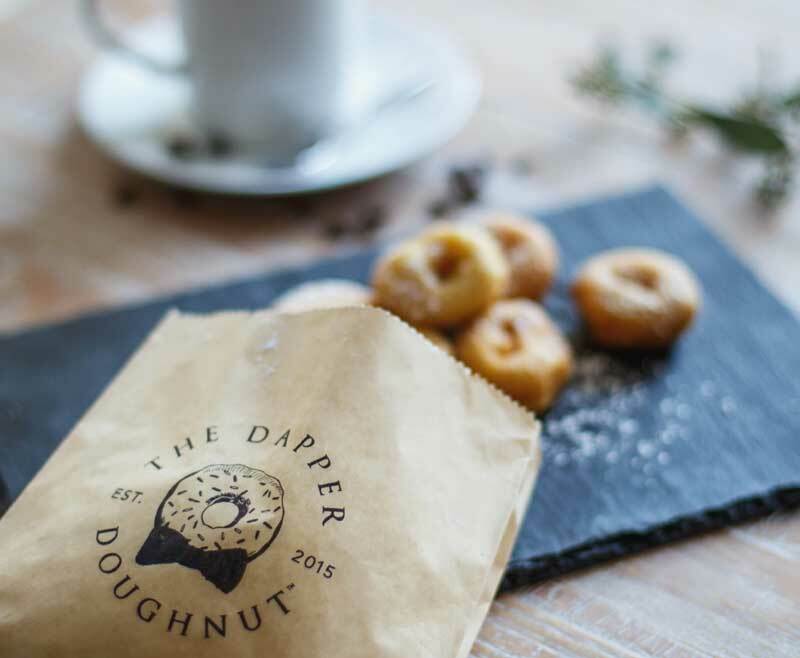 The Dapper Doughnut is redefining traditional doughnuts. 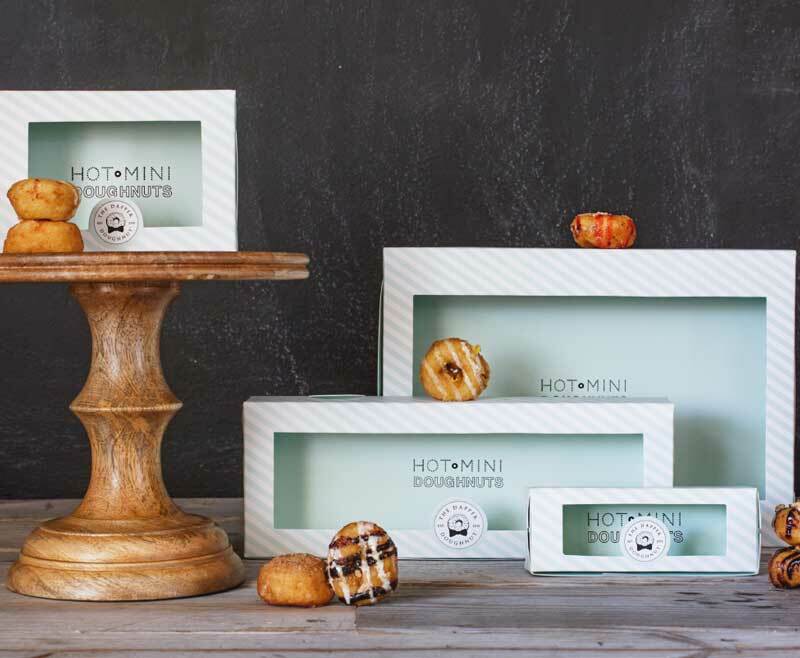 We sought to elevate the traditional food service experience through whimsical branding, highly customized package design and standout retail outlets (stores, kiosks + food trucks!). Led by Jenilee Greene Design, the whimsical and modern store design has created a constant element of surprise to the consumer. 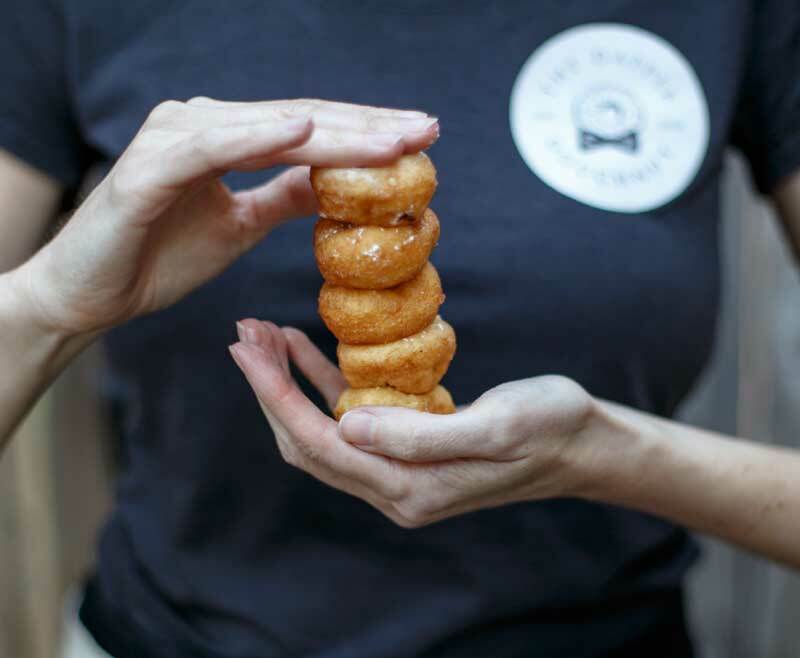 The idea behind this brand was to create a fast casual doughnut franchise with a high end aesthetic that is then downplayed with a modern hipster vibe. From the yellow striped brick and mint penny tile, every location is a hot destination to hang out with your favorite people!